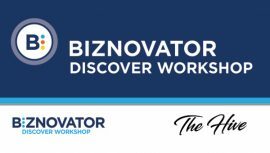 Summer 2018, demonstrated to be the most successful BIZNOVATOR summer camp season in the past 5 years. All told, all of the students were able to present ideas that were aligned with the UN’s Sustainable Development Goals (SDGs) and that also included a social impact strategy. In this 3rd of a series of 5, we introduce you to two more great ideas by aspiring entrepreneurs. Teen Talk Media is an internet company that will provide teenagers content with the information needed to strive in modern day society, while being authentic and entertaining. 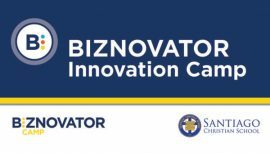 Luis won first place at the BIZNOVATOR Innovation Camp held at SAP. His brilliant idea includes a service that helps fill a void that most young people today are facing and lacking—communication. One key component that we teach our aspiring entrepreneurs is to research as thoroughly as possible. 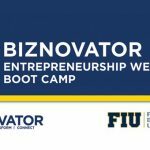 Luis successfully conducted research that has allowed him to customize an online business model that will help teenagers in immense ways. His research found that teenagers have shortened attention spans. Teen Talk Media’s findings also discovered that teens are out of touch with adults, and have created a bigger distance with loved ones. Panacea is a health information exchange application that is mechanized with the technology of blockchain. This idea is a service that helps facilitate the exchange of a patient’s medical history to medical practitioners without any outside intermediaries. Morgan, is an outlier. A young man that I met while he was reading a philosophy book at the Pasion del Cielo Café in Downtown Doral. Since that May 2018 encounter, I knew that Morgan had a lot going for him. He expressed an interest in participating in our BIZNOVATOR Camp, but was not quite sure. Weeks later he contacted me and sure enough enrolled in our camp. Morgan made the right choice to join us. 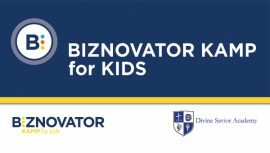 As a bonus for working hard and arriving at a good idea, Morgan won 2nd place of the BIZNOVATOR Innovation Camp Pitch Competition. Indeed, he was very surprised to have done so. 3 of 5 in a Series – Previous Series 2 – Next Series 4!